Professor Raja Kummoona, Fellow of the Royal College of Surgeons of England (FDSRCS), Emeritus professor of Maxillofacial Surgery, Iraqi Board for Medical Specializations; Fellow of Royal Society of Medicine; Research Fellow Royal College of Surgeons of England (1975-1977); President of Iraqi Dental Society (1977-1985); Registrar of Primary FDSRCS in Iraq (1985-1990); the most distinguished professor of University of Baghdad (1991-1992); one of 40 top scientists in Iraq awarded gold medal for 3 years (2000-2002) by presidential celebration. He had many publications and contributions to science by advocating many surgical procedures and researches in cancer surgery and flap reconstruction, TMJ surgery, Maxillofacial injuries, Orbit tumors and Missile war injuries of the face with advancing surgery of war injuries of the face worldwide. With contribution in research in cancer, he is the finder of post graduate studies in maxillofacial surgery in Iraq. He was the editor of Neck Dissection, Clinical Application and Recent Advances, Feb. 2012, InTech and editor of monograph Surgical Reconstruction of the Temporo-Mandibulr Joint, 2013, Lambert, Germany. He published a book on Disease of the Temporomandibular Joint, Surgical Reconstruction, Clinical & Experimental Studies, Apr. 2014, SciencePG, USA. This book reflects experience of the author in war surgery as a Hot Topic nowadays including missile war injuries of the face. The face is the most important part of the body. The international war of terrorist in Iraq and Syria is acrimonious, because of thousands of innocent people died every month and it is our daily life. Not many people got the chance to be treated by expert surgeons. The author's experience is recognized worldwide in managements of these cases for primary care or secondary phases which required a great knowledge, skill and expertise for managements of these complicated cases. A new classification for missile war injuries presented and advance research done on integrity of the carotid tree by using duplex sonography to study the peak systolic and end diastolic velocity and the intima, medial thickness of the carotid vessels, the flow and velocity of blood, these studies carried on post traumatic missile injuries cases. Many surgeons in the west do not know much about these types of injuries because they do not face it as we do. 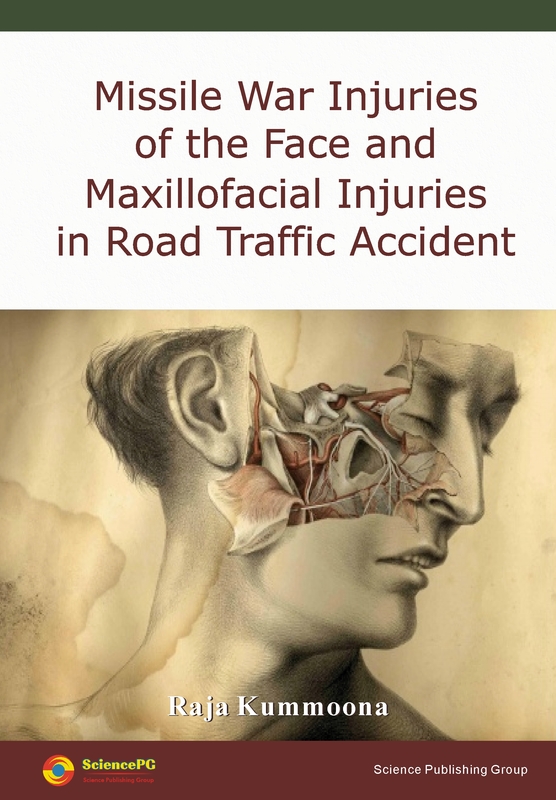 This book also contains chapter on maxillofacial injuries covering all parts of the facial skeleton fractures that have been effected and the author’s technique for managements of these cases by reduction and fixation by using external types by Halo Frame, Box Frame external pin fixation and internal suspension technique for managements of many difficult cases. Some of these cases were complicated with CSF leakage. The managements and the investigations were carried out by using spectrophotometry apparatus to differentiate between CSF and serum. Glasgow Coma Scale described and practiced on our patients with head injuries also described. The book also contains orbital skeleton injuries and the various techniques which had been used for managements of very difficult cases of orbital skeleton injuries. These cases were treated by different techniques for reconstruction of orbital walls by chrome cobalt mesh, bone graft, Sialastic, Lyophilized Dura and combination of bone graft with additional layer of Sialastics in cases showed re-sorption of bone after one year later, the result was very optimistic for restoration of function, vision, canthus ligament fixation and aesthetic feature of the face. The last chapter deals with orbital tumors and these tumors classified as malignant and benign tumors, the surgical managements of malignant tumors by exenterating of the orbit with augmentation of the orbit by temporalis muscle flap and reconstruction done by different local flaps. The results reflected our experience for managements of very difficult tumors of the orbit. The book is nicely illustrated to cover all chapters with very interesting cases. I think this book is a leading atlas book worldwide in managements of missile war injuries with additional knowledge in civil facial injuries. I hope to present a very interesting and up to date knowledge with recent advances in managements of facial injuries in both war injuries and civil injuries.